Spider Spraying has rolled into high gear!! 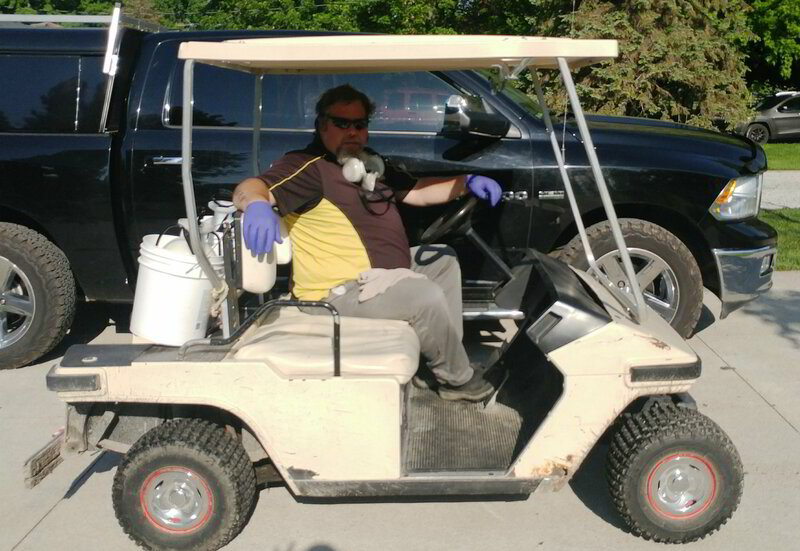 Our customer Ken offered Rob a ride in his golf cart this week to make things a bit easier and faster for getting the job done. It was a scorcher outside spraying this week and we would like to thank everyone who offered drinks, a place to cool down and a cart to ride. We appreciate your business and kindness.